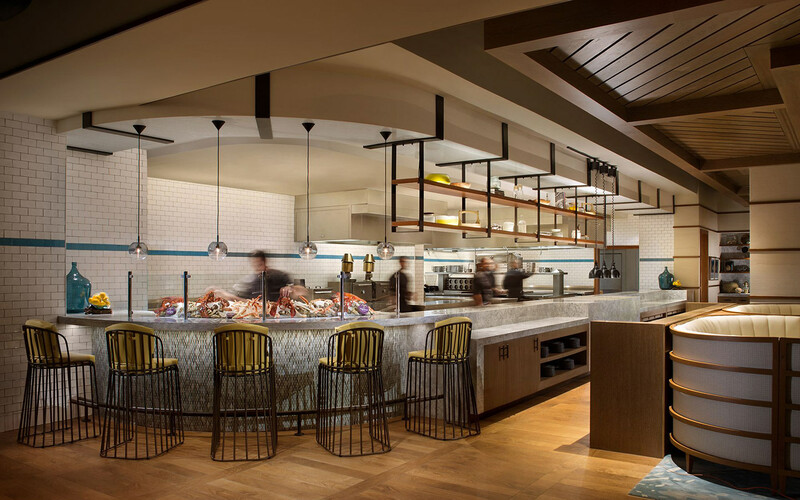 Lightkeepers is the casually elegant new restaurant and bar at The Ritz-Carlton Key Biscayne, Miami. Located just off the island's gorgeous waters, Lightkeepers features a contemporary, coastal-inspired dining room, a cool, casual indoor/outdoor bar and a beverage program featuring unique, hand-crafted cocktails. The menu, executed by Executive Chef Raul A. Del Pozo, relies on locally sourced ingredients - cheeses from Winter Park, beef from Ocoee, and snapper from Key West. Locally grown and caught ingredients are key to the quality and diversity of the menu. Named as an homage to the lighthouse keepers who watched over Key Biscayne's historic Cape Florida Lighthouse in the 1800s, Lightkeepers is poised as a premier waterfront dining and imbibing destination for locals and visitors alike.